Linco Precision is your new FAST dealer serving Illinois and Wisconsin. We offer a complete line of FAST Sprayers and Applicators, with the parts and service support you expect from Linco Precision. The 9600 Series Sprayer featured, is a compact sprayer with the flexibility and performance you need. FAST has designed this boom to allow you to stay on your planter tracks and minimize traffic patterns on headlands and field borders. The 90’ boom folds to spray at 60’ and the 80’ boom folds to spray at 40’. The 60’,66’, 88’ and 90’ booms are offered in a compact 10’ center section. The 80’ and 100’ booms are offered in a 12’ center section. Operators praise the compact design of the unit, which is desirable for field-tracking to minimize crop damage. 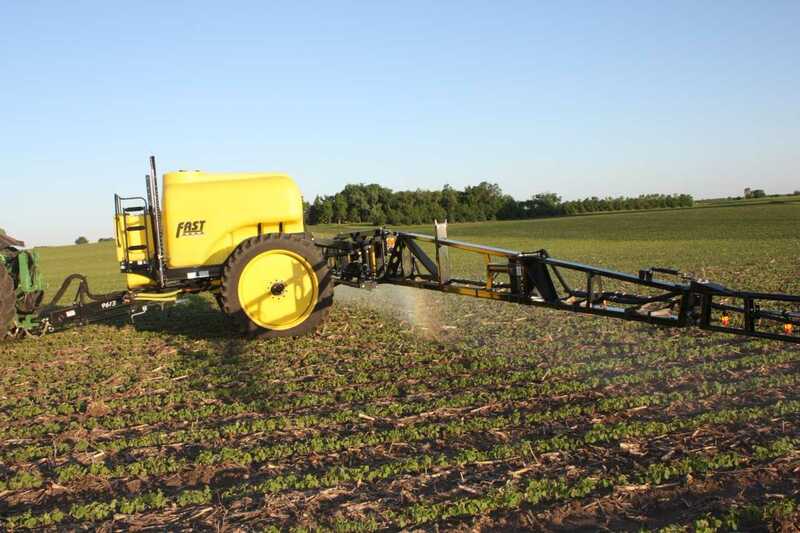 This, along with FAST’s field-proven, industry-leading boom ride and short-coupled trailer, has made this sprayer a favorite among operators. The 9600’s short-coupled, high clearance trailer, with one of the shortest hitch-pin-to-axle lengths in the industry, provides superior tracking and minimized crop damage. FAST’s field-proven, hydraulically-accumulated, center-pivot center section isolates the boom from the trailer and dampens any rough terrain. 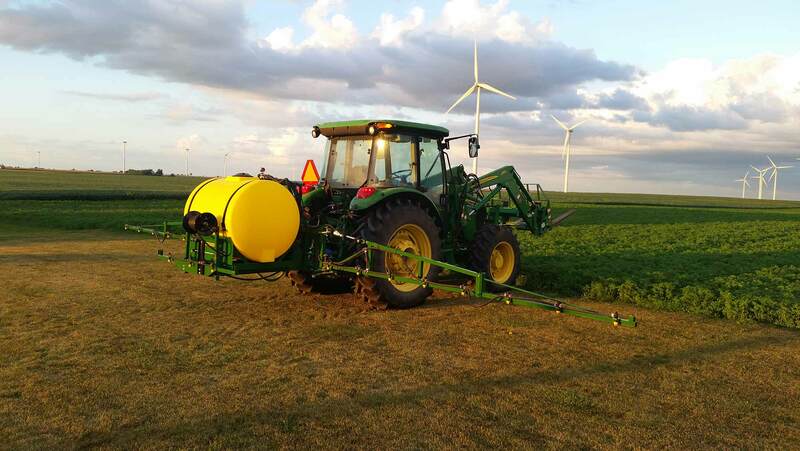 This provides level boom heights and excellent chemical coverage for weed kill. Minimizing your footprint in the field and keeping consistent traffic patterns helps increase yield. 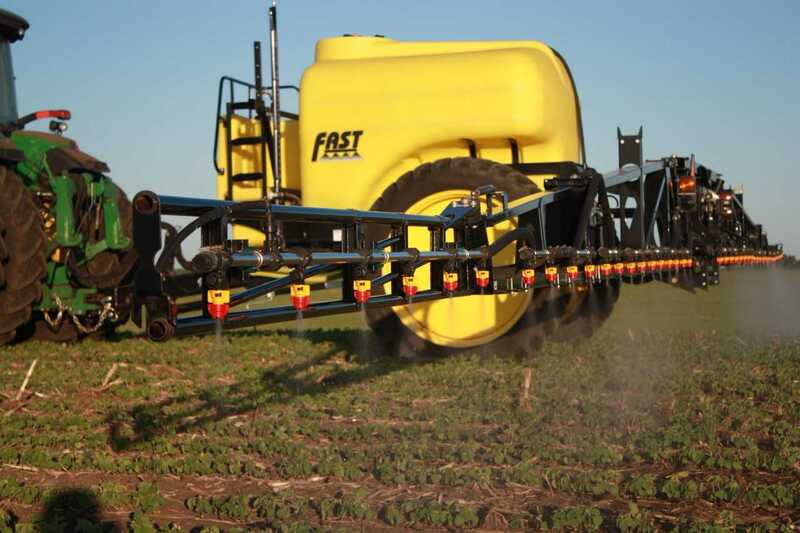 Therefore, FAST has designed its 80’ boom to fold and spray at 40’ as well as a 90’ boom that folds to spray at 60’ to help stay on your planter tracks on endrows and field borders.